Blaze and Roxy are welcomed to the Cyber Dimension by Scrozzle who introduces himself as the ruler. He summons Tronics to force the two to bow down to him, but Evox pops out, zaps the Tronics away and demands Scrozzle bow down to him instead. Scrozzle offers to help Evox get out of the Dimension with his teleporter, but it lacks power. Roxy shows Scrozzle the Morph X and Evox says there’s plenty more where that came from. Scrozzles says they’ll need much more than that little tube to be able to teleport Evox back to the Earth dimension. But one tube is enough for robots and avatars. Evox orders Blaze to accompany Scrozzle to get more. While making preparations, Scrozzle tells Blaze and Roxy about hiding from a powerful robot named Vargoyle. That’s why he’s built all the Tronics to protect him. Anyway, Scrozzle upgraded Blaze and Roxy’s keys so they can teleport anytime they want. Scrozzle and Blaze teleport to the Earth Dimension. Over at GBHQ, Commander Shaw has some big news for the Rangers. Ravi and Zoey think one of them will be named the leader. But Commander Shaw and Nate first want to introduce them to their new buddy robots, the BeastBots. Zoey will work with Jax, Ravi with Smash and Devon with Cruise who can morph into a bike. Ben and Betty pop in with their own idea to help the Rangers. Commander Shaw says she places the Burke Sibs anywhere she sees they fit. Ben and Betty show them the Zap-O-Matic which instead zaps them rather than the dummy. But they’re fine. Commander Shaw and Nate proceed to show the Rangers their new zords. The BeastBots will also serve as the control consoles for the zords. Commander Shaw says they’ll need a good leader. Ravi and Zoey fight over who will make the best leader, but the Burke Sibs hurry in to report a disturbance at a Morph X Distribution Center. Betty offers she and Ben accompany the Rangers as back-up. Arriving at the Distribution Center, Devon tells Betty and Ben to stay back for now. Blaze morphs and summons Tronics. Devon takes on Blaze while Ravi and Zoey take on the Tronics. The two continue trying to one-up each other to show they’d make the better leader. Devon tries to get them to focus back on the Tronics. Scrozzle uses an Evox virus-infused key to create a Robotron out of tires, Cycletron. The Rangers morph. Scrozzle and Blaze take the Morph X and head back to the Cyber Dimension. Devon blasts away a group of Tronics. But a dog suddenly runs by and Devon suddenly freezes. The Burke Sibs see a Tronic trying to sneak up on a frozen Devon, so they hurry and help with their Zap-O-Matic. The dog runs off and Devon unfreezes. Ravi is facing off against Cycletron when he suddenly seems to overheat. Literally. Ravi grows very aggressive and wildly shoots at Cycletron. Zoey laughs at his aim and that seems to anger Ravi even more. He starts shooting at her. But as Zoey hops out of the way, she loses energy and collapses. Ravi aims at Zoey, but Devon knocks him out of the way and shoots at Cycletron, destroying him. The BeastBots arrive. Smash grabs a hold of Ravi while Jax asks someone to help Zoey who is forced to demorph. Nate has no idea what is happening. Over in the Cyber Dimension, Scrozzle says the Morph X they’ve brought back is enough for a Gigadrone. Scrozzle has hundreds of Gigadrones ready to teleport. Back at GBHQ, Nate still has no idea what has caused the Rangers’ weaknesses. Ravi and Zoey, still recovering, continue to argue over becoming the leader. Devon again tells them they need to work as a team just like Ben and Betty. Ravi and Zoey apologize. Devon goes back to investigate the dog’s hole when the Gigadrone appears in the city. Commander Shaw orders Devon to use his Racer Zord to stop it. Devon morphs and hops on Cruise as Racer Zord is deployed. 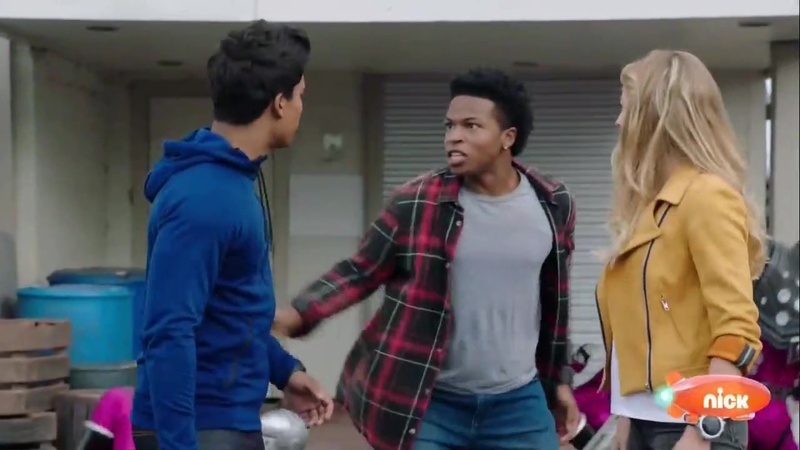 Devon and Cruise link up with the Zord and Cruise tells Devon to activate Battle Mode. But Devon sees a dog billboard and freezes up. Cruise tries to get him to snap out of it. This provides an opening for the Cycletron Gigadrone to approach the Morph X Tower. Commander Shaw calls Nate to hurry and get Ravi and Zoey back up and running. Nate figures out the cheetah aka cat DNA inside Devon is causing him to be afraid of dogs. He then realizes the Evox virus has corrupted the animal DNA inside the Rangers. So Zoey needs carrots to stay energetic because of her rabbit DNA and Ravi needs to cool down all his hot muscles like a wild gorilla. Ravi and Zoey run over to their zords and deploy. Zoey arrives at the Gigadrone’s location, but gets shot down. Ravi is able to catch her and her zord. Jax activates Jackrabbit Mode and he and Zoey are able to kick the Gigadrone back into the city and right at Devon and Cruise, knocking them over. 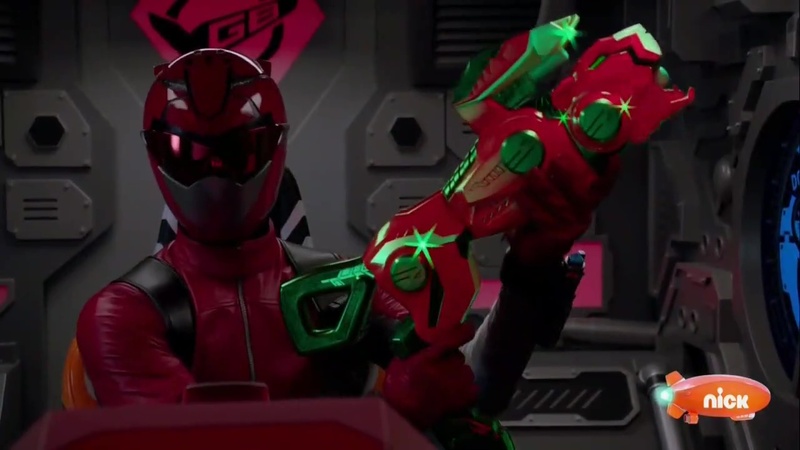 But that unfreezes Devon, allowing him to use the new Cheetah Beast Blaster to finish off the Gigadrone. Back at GBHQ, Commander Shaw tells everyone that after their first successful mission, she’s confident they’ll be able to defend against Evox and his minions. She is about to make her leader announcement, but Zoey and Ravi say they want Devon to be the leader after all he did today to save them and remind them they need to be a team. Devon accepts and his first action as leader is to thank Ben and Betty for their help as well. Smash says they should have a group hug. But they all get zapped when the Zap-O-Matic gets triggered in his pocket. Another pretty good episode. It was definitely a lot of world building, but still very fun and exciting. As a Go-Busters fan, the biggest part of this episode probably had to be the Power Rangers explanation for the Rangers’ weaknesses. And I must say, I was honestly equal parts sad and amused by the explanations. Nate’s explanations made sense, but almost too literal that they were funny. Obviously, Go-Busters‘s reasons for Hiromu, Ryuji and Yoko’s weaknesses weren’t better. If anything, they were pretty goofy. But at the same time, the goofiness worked because it helped to balance out the season’s heavier themes. Maybe sometimes not being too serious works a little better (maybe like RPM‘s Q&A session with Dr. K?). But I also appreciate the effort and creativity to adapt some character traits that will obviously be very present in future footage. That’s more than can be said when other Saban Brands seasons rarely explained obvious Sentai characters traits that popped up in footage that didn’t correspond to the Power Ranger characters. Anyway, speaking of characters, Ben and Betty were much better this episode. And I do like that it seems as though they’ll be more than just simple comic relief. At least, comic relief in the way we’ve seen the last couple of years. They’d be great candidates for the Gold and Silver Ranger, but I’m not sure that’s in the cards. Though Go-Busters certainly has a few other Rangers that they can bring over too for them. I can already see this mysterious Vargoyle that Scrozzle is afraid of will either be the midseason finale Big Bad or the eventual final Big Bad. It screams of that kind of setup, don’t you think? Overall, another very good episode. Great start so far, let’s hope they can keep the momentum. Two amazing episodes in a row. 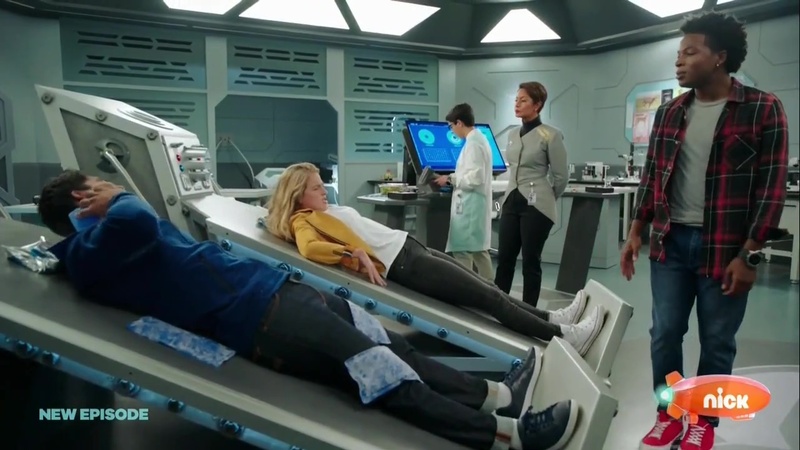 In the first episode I got a feeling that Ben & Betty would have a closer contact with the Rangers, and this episode confirms it. It was great watching them go with the Rangers at the scene, heck, and even saving Devon’s life, I certainly didn’t expect that. 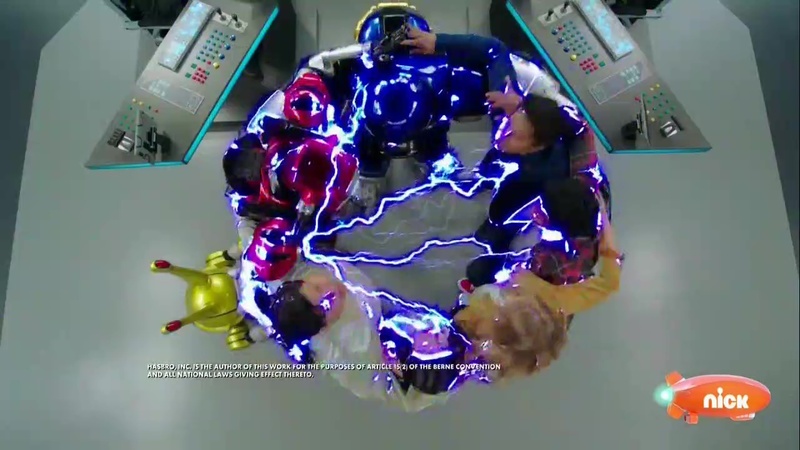 We also got a nice plot twist, now instead of protecting the Morphin’ Grid, the Rangers have to stop Blaze and Roxy’s avatars from getting enough Morph-X to bring Evox back to their dimension. It’s also hard to believe Hasbro recreated the Zords cockpits from Go-Busters, so it’s gonna be hard to tell if there’s any Sentai footage in them. I think most of the cockpit footage was Sentai except for that blaster scene of course. Nice to see the episode picks up where previous left off. 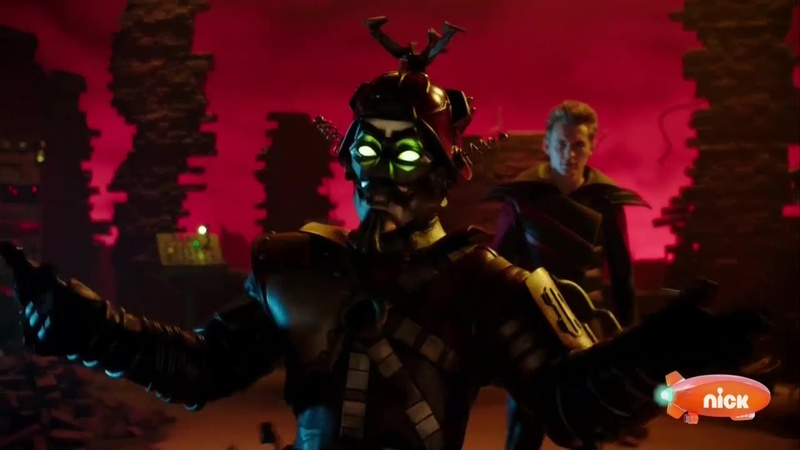 Very refreshing to see another Power Rangers original villain, Scrozzle, who is NOT based on Go-busters villain. I like his character and design, which is a crossover between Go-Onger/RPM and Go-busters villain. I’m curious what “Vargoyle” would look like; I hope they use Enter Unite costume (with possible repaint similar to Roxy/Escape). 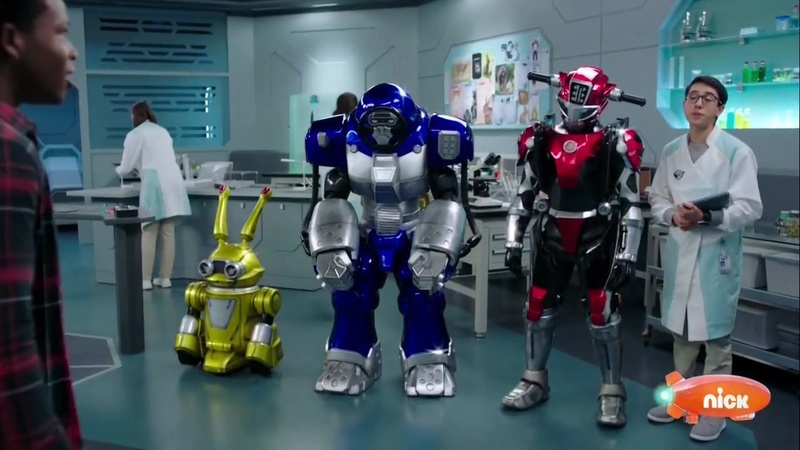 Great to see Buddyloid… I mean Beast Bots! It’s refreshing to see ALL 3 rangers getting their robot comrades, instead of Red. Nice to hear Kelson again and this time as Cruise (Nick), the bike robot. I kind of wished they used female voice for Jax though; I didn’t like Usada’s voice (male) in Go-busters, so I kind of wished Hasbro changed gender (SJW anyone? lol). Oh well. 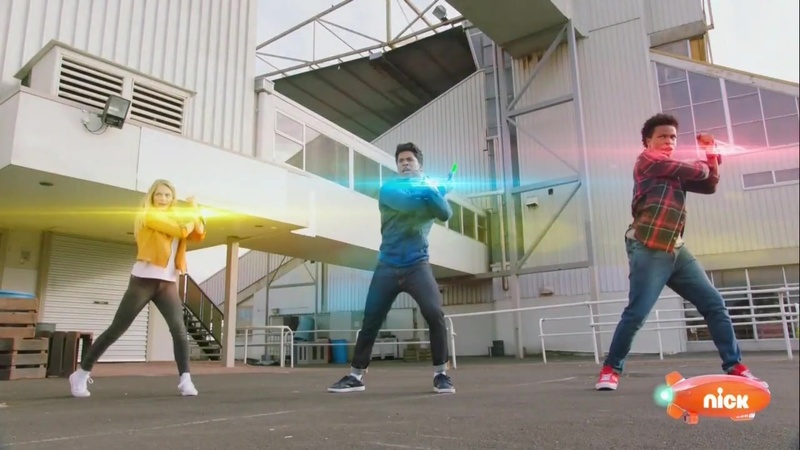 It was refreshing to see 3 Ranger team using BRACE morpher, instead of phone, card reader, whatever-the-star thingy, etc. It’s been a very long time since main team gets to use BRACE/WRIST morpher; first time since Dino Thunder (2004)… 15 YEARS! I like how item (Morph-X Keys) were utilized to activate morpher, which did not have collector’s gimmick in Go-busters. Interestingly, when I was discussing with my friend how collector’s gimmick would use in Go-busters adaptation few years ago, he suggested it would be something like memory card or USB stick; I guess he was somewhat right. The morphing sequence is nice, but I’m not a fan of animal face showing up in tornado/cycle; I especially don’t like Blue/Gorilla face, which is somewhat off IMO. Nice to hear rangers use the word “Transport!” to get their weapons, similar to Go-busters! Here comes the weakness (no pun intended) of this episode… ranger weakness. As much as I enjoyed Go-busters, ranger’s “weakness” was a weakness of the overall series; it’s especially tragic, since rangers NEVER overcome it at the end. Granted, the weakness here makes much more sense than Go-busters, since Evox infection caused it. Devon is afraid of dog (instead of chicken/bird), since cheetah/feline is afraid of it (really?). Cheetah is bigger than ANY dog (it could kill it) for pete sake! Ravi stays the same, which is not surprise. Zoey is somewhat similar, but instead of eating candy and snacks, it’s carrot which sets good example for kids to eat healthy food (especially since obesity is epidemic in USA/Western Civilization). 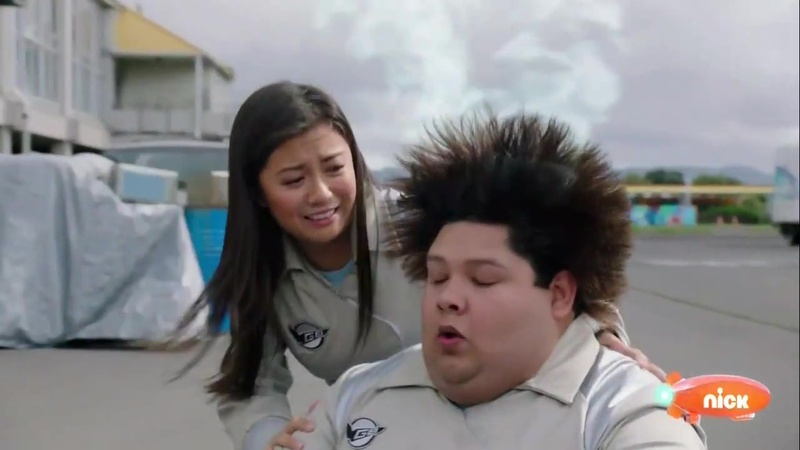 I understand Chip loves Go-busters and REALLY wanted to make an adaptation of it, ever since Saban brought him back, but I really wished he didn’t put that in. I admit, it does have better explanation and reasoning than Go-busters, but it still somewhat bothers me, but that just me. 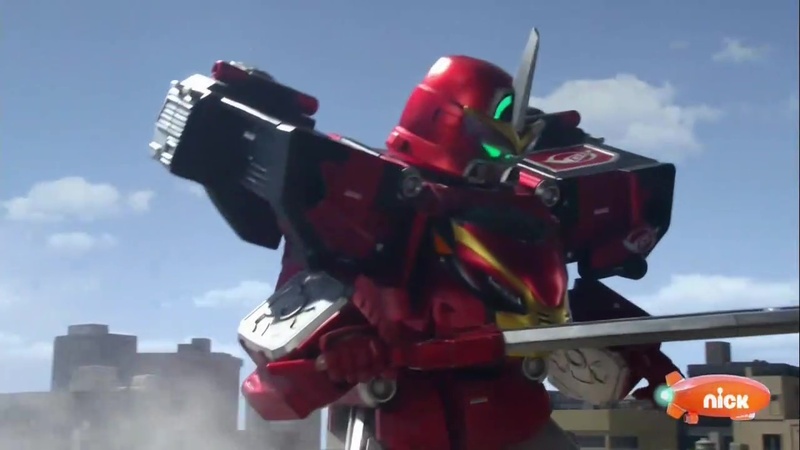 The megazord battle was awesome to look at and it’s one of the highlight of Go-busters in general. What I really like is how Hasbro recreated the cockpit similar to Japanese counterpart, rather than using Power Rangers exclusive cockpit, which I didn’t mind too much for group cockpit, but since Go-busters mecha were all piloted individually and NEVER as group, I have to commend Hasbro for effort. I like the Cheetah Beast Blaster, a Power Rangers original weapon, as a megazord finisher, but it’s kind of weird to see blaster to use for sword/slash attack, but I digress. It was also interesting that only additional visor was used for Red, rather than transforming into Cockpit Exclusive armor mode in Saban Brands era; nice and simplistic is what I like about Go-busters and it works very effectively here. “Virus Eliminated” is a nice catchphrase. Group hug at the end was very cute, hilarious, and rewarding. Overall, wasn’t as good as previous, but it was still solid. Much like the last episode, the pacing felt bit rushed IMO. I’m also bit annoyed that Devon keeps referring “video game”; then again, he just become a ranger, so I can see why he is still arrogant. 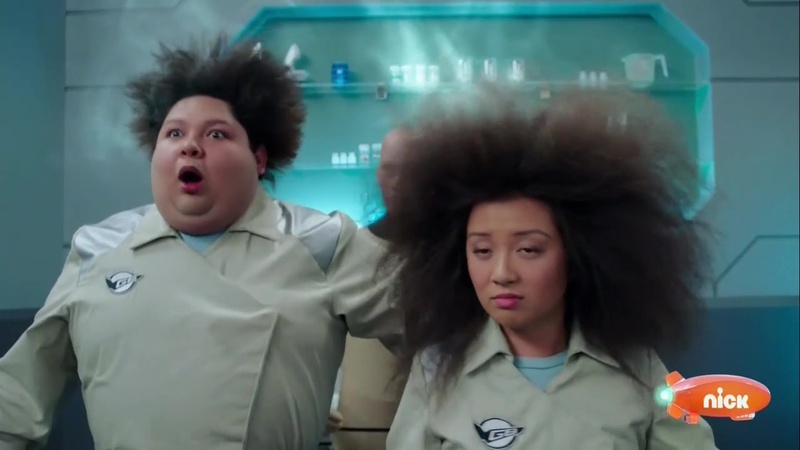 Ben and Betty were little more obnoxious compared to previous episode, but they were useful and funnier than comedic relief in previous seasons. I’m curious whether or not rangers would overcome their weakness by the end of first season or won’t until they defeat Evox. Looking forward to see Episode 3. I suppose they’ll get over their “weaknesses” when Evox is defeated.